An anthology of Sherlock Holmes stories (Point 1). Written by authors like Neil Gaiman, Laurie King, Stephan King, Naomi Novik, Stephan Baxter (Points 2, 3, 4, and so on.) 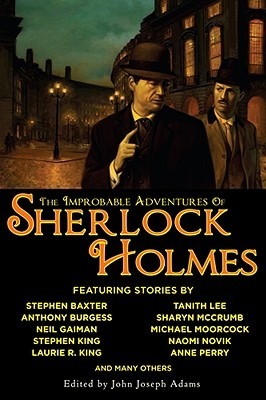 So, how many more points does a book like “The Improbable Adventures of Sherlock Holmes ”need to be “pick up right now”? The regular readers of this blog will know that graphic novels/comics are not exactly the first genre we go for, but hey, you can always make an exception for Neil Gaiman, can’t you?